If you take a look around your local marina this time of year, you’ll probably find stacks of batteries to be recycled. Battery Council International, the trade association for the lead-acid battery industry, reports that 85 percent of the batteries sold in the United States never make it to their five-year design life. That’s a high number of batteries that fail prematurely. I’ve worked with products from several manufacturers of battery maintainers, conditioners and chargers, along with numerous dead, dying and even fresh-off-the-shelf batteries, in an effort to determine how the latest charging technology can be effective in achieving longer battery life. To better understand what these “smart chargers” can do, let’s briefly look at how a battery works, how to monitor its condition, and a few of the reasons batteries prematurely fail. If you can grasp the basics you’ll have fewer battery problems, as well as better battery performance, reliability and longevity. Although a bit simplified, here’s a brief explanation of how common boat batteries work. Batteries don’t store electrical energy. They store energy in chemical form and convert that chemical energy into electrical energy. 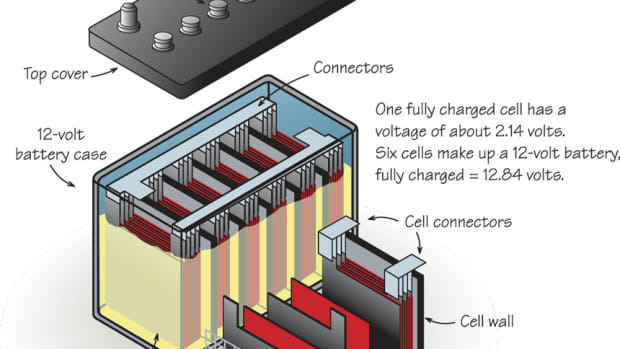 Inside a flooded cell lead acid battery are structural plates (or grids), lead, lead oxide (with other elements added) and an electrolyte. The plates are immersed in the electrolyte solution — approximately 35 percent sulfuric acid and 65 percent distilled water — causing a chemical reaction that discharges electrons, or electricity. Because of the chemical interaction, a lead acid battery must be discharged and then recharged by an engine alternator or accessory battery charger on a regular basis and maintained at full charge to prevent premature failure. 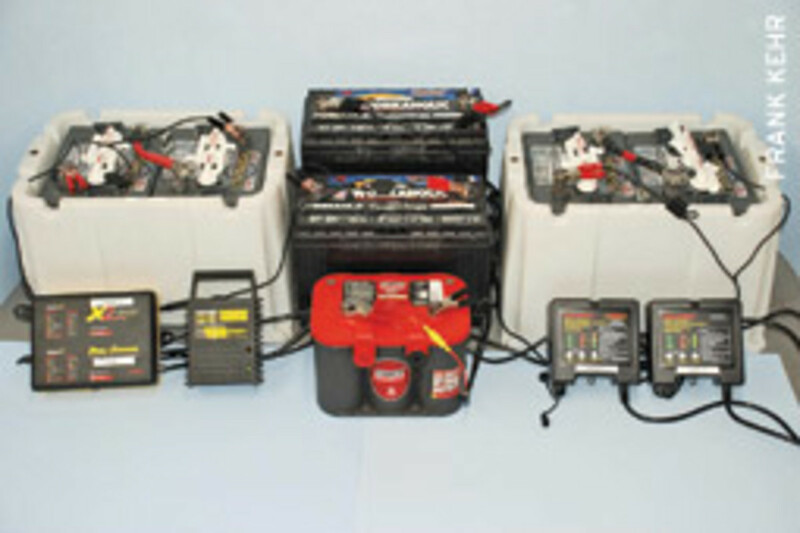 There are several methods of determining a battery’s condition, or state of charge. The methods mentioned here can be combined to provide an accurate, detailed, technical picture of the battery, but we’re just looking for an overview. To accomplish this, we’ll work with a digital voltmeter (as little as $15) and a temperature-compensated battery hydrometer (less than $10), though using either one individually can also provide reasonably accurate information. Testing should be done on a battery that has been disconnected from any load or charge source for 12 hours, allowing it to come to its rested state. The digital voltmeter is placed across both battery terminals to provide an “open circuit” reading, which for a fully charged 12-volt battery should be 12.7 volts. When you test a battery with a hydrometer, following the instrument manufacturer’s guidelines, you are measuring the percentage of sulfuric acid in the electrolyte. If the reading is low, that means the chemistry that discharges electrons is weak, and the battery has begun to deteriorate and sulfate. A fully charged battery should provide a specific gravity reading of 1.27 on the hydrometer. Table 1 contains voltages and hydrometer readings for partially charged batteries. Sulfation starts when a battery’s specific gravity falls below 1.225, or when the voltage measures less than 12.4 for a 12-volt battery. At this point, the electrolyte begins to break down as the sulfur leaches out, sticking to the lead plates and forming sulfuric crystals. The electrolyte then becomes dilute, and the hydrometer will clearly indicate the weaker solution. Of course, the voltage reading will be lower as well, based on the electrolyte’s inability to fully support the chemical reaction within the battery. The crystals coating the plates prevent them from doing their job efficiently and can become dislodged, interfering with the battery’s ability to accept or hold a charge, or eventually creating a short circuit. Sulfation also hardens the plates, reducing the battery’s capacity and ability to accept a complete charge and eventually destroying it. It is the inability to accept and retain a complete charge that prevents the battery from providing the voltage your engine or accessory requires for operation. When the battery is properly and thoroughly recharged, the sulfur returns to the electrolyte, and hydrometer and voltmeter readings increase. Preventing sulfation is relatively simple: Use the battery often and maintain its state of charge at or within a few points of 100 percent. That’s not much of a problem with a car battery, but it’s more difficult with a boat. Unless you’re among the lucky few, we typically don’t use our boats on a daily basis. As a result, batteries often aren’t adequately maintained — until something on board stops working. So how do you keep sulfation to a minimum and deal with it once it exists? The answer is through proper and complete charging and maintenance practices. Charging converts the lead sulfate from the plates back into lead oxide on the positive plates and sponge lead on the negative plates. Water in the electrolyte is converted back to the 35/65 sulfuric acid solution, and it’s that chemical conversion that allows the release of electrical energy. For the purpose of this article, I was interested in working with relatively small chargers that can easily be used aboard relatively small craft not typically equipped with sophisticated on-board chargers. These boats could be retrofitted with a small smart charger if desired, or use any of the portable chargers/maintainers with quick-disconnect alligator clips or ring terminals. I’ve been working with Guest Intelligent series on-board smart chargers (www.marinco.com), PulseTech’s Xtreme portable chargers (www.pulsetech.net), and VDC Electronics’ BatteryMINDer portable chargers (www.batteryminders.com). For batteries, I used two flooded cell group 31 Deka starting batteries, an Optima AGM starting battery, two Optima AGM blue top starting/deep cycle batteries, and two small flooded cell house banks, each consisting of two Interstate U2200 6-volt golf cart batteries wired in series, basically creating two 12-volt batteries. Although specific details differ, all of the chargers I worked with are considered “smart chargers” in that the technology reduces the chances of over- or undercharging the battery. All of the batteries had been used last season and were intentionally stored for three months without maintenance charging for the purpose of this Tech Talk. 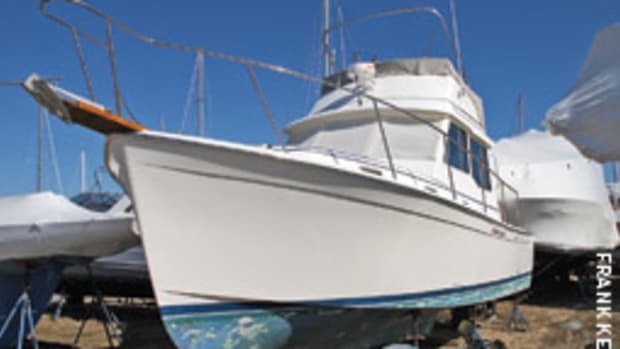 When I restored my 1972 Boston Whaler Outrage 21 almost eight years ago, I rigged it with twin Yamaha outboards, each with its own battery. I installed two fuse panels — one from each battery — and split the electrical loads between them. As additional accessories were added, I wished I had a house battery as well. Once the radar came along, the desire for additional battery capacity became a necessity. I had been using a Guest 2610 on-board battery charger to maintain the two Optima AGM starting batteries. They are still going strong after 7-1/2 years, so I looked to Guest again for an on-board charger that could handle three independent batteries, one of which might be a gel model. I reviewed my options and followed up with a conversation with Tony Moutinho, an engineer at Guest. Moutinho recommended Guest’s Intelligent Charging System model 16153, as each charge output is independently selectable based on battery chemistry. That would allow me to try a deep-cycle gel battery for the house while extending the life of the AGMs through intelligent three-stage charging. Each type of battery chemistry requires a different absorption and maintenance voltage, for which the Guest charger is designed to adjust. Table 2 shows the approximate voltage specifications based on battery chemistry. The Guest Intelligent 16153 charger has a total rated output of 18 amps, divided into three 6-amp outputs that are independently controlled and isolated, so it basically functions as three individual chargers. It can accommodate 12-, 24- or 36-volt systems. My installation would consist of three 12-volt batteries, each receiving a maximum of 6 amps of charge current. The 16153 measures 9.8 inches high, 7.1 inches wide, and 3 inches deep, with four quarter-inch mounting holes. Guest advises in the instruction manual that the charger should have at least 8 inches of unobstructed area on all sides for effective cooling, and it should be mounted vertically to aid in convection cooling. All cables exit from the bottom of the unit, keeping the wiring neat. The three 4-foot DC charge cables have overcurrent protection (fuses) on both the positive and negative leads and attached ring terminals. 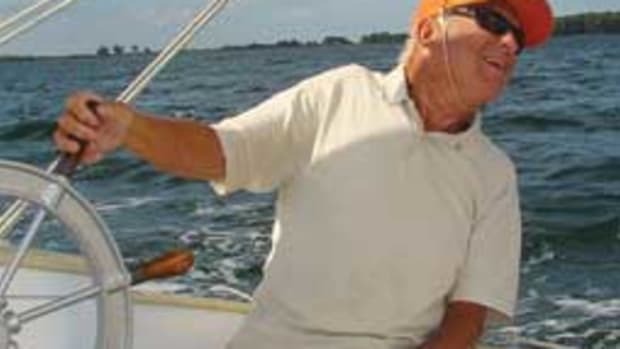 The 6-foot AC cable has a “connect charge” plug, which enables the charger to be plugged directly into select AC inlets that can be installed on board, eliminating cable splicing and simplifying the installation. The electronics of this charger are mounted on an anodized aluminum base that provides heat dissipation and helps keep weight down (6 pounds). 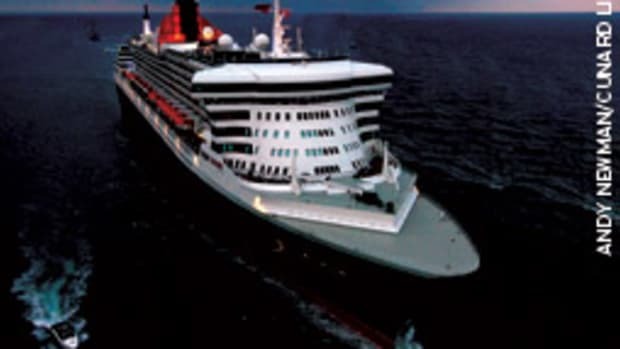 Internal circuits are epoxy-coated for protection from water and vibration. The control center is a membrane-covered panel on the upper front portion of the charger, and there also is a provision for an optional plug-in remote display panel. The same battery condition information appears on both the remote display and the control center, but the remote will not allow access to the setup options. The control center allows you to select the battery chemistry (flooded, AGM, gel) and indicates which step of the charge sequence is active for each battery, using multicolored LEDs. Setting up the charger is straightforward. Once connected to the batteries, just toggle through the battery chemistry selections for each battery — the red LED indicates flooded lead acid and AGM, blue indicates safe mode (if the type of battery is unknown), and green for gel. Once the AC cable is plugged in, the settings are stored electronically and can only be changed if both the battery power and AC power to the charger are interrupted. The charger status LEDs indicate the charging stage for each battery. Red indicates a discharged battery that is being recharged at the “bulk” rate (stage 1), blue indicates “absorption” (stage 2), and green indicates the charge cycle is complete and the battery is ready for use. The charger then regulates the battery at the nominal float stage voltage (stage 3). A blinking red LED indicates a variety of possible battery faults, which are described in the instruction manual. The 16153 charger was easy to install and set up aboard my Whaler. The cables were long enough for my installation and should be for most. With the attached ring terminals and overcurrent protection, wiring the unit was simple. I had to make up two mounting brackets for my installation, but most installations should require nothing beyond mounting screws. The remote display came in handy, since the main control panel is difficult to view unless crawling under the console. I’ve been monitoring the charge process through the remote display, in addition to using a Fluke 336 digital voltmeter. The voltages listed in Table 2 are what I have been seeing with the voltmeter. The AGMs went to float charge at 13.5 volts DC, while the temporary gel battery leveled out at 13.8 volts DC. Although the Guest Intelligent Charging System doesn’t include desulfating technology, it provides a more regulated charge than older Guest chargers I have used, which have performed reliably. I anticipate continued service from the existing AGM batteries and a long life from a new gel battery using the Guest system. They are available in several configurations and output amperages. The Guest 16153 charger retails for $399.999 and the remote display for $39.99. I have owned six BatteryMINDer charger/maintainers for more than a year and have used them on a host of AGM and flooded lead acid batteries: small generator and motorcycle batteries, car and truck batteries, and assorted boat batteries. They were my first real experience with an electronic desulphator/conditioner, and they worked well across the board. The detailed and well-written instruction manual contained general battery information as well as product details. Measuring less than 6 inches square and 2-3/4 inches deep, the BatteryMINDer 12248 allows you to select charge outputs of 2, 4 or 8 amps. It is also user-selectable for AGM, flooded cell and gel batteries. The start, stop and reset functions make up a third column of LED indicators, with membrane-covered pushbuttons below each column for making selections. 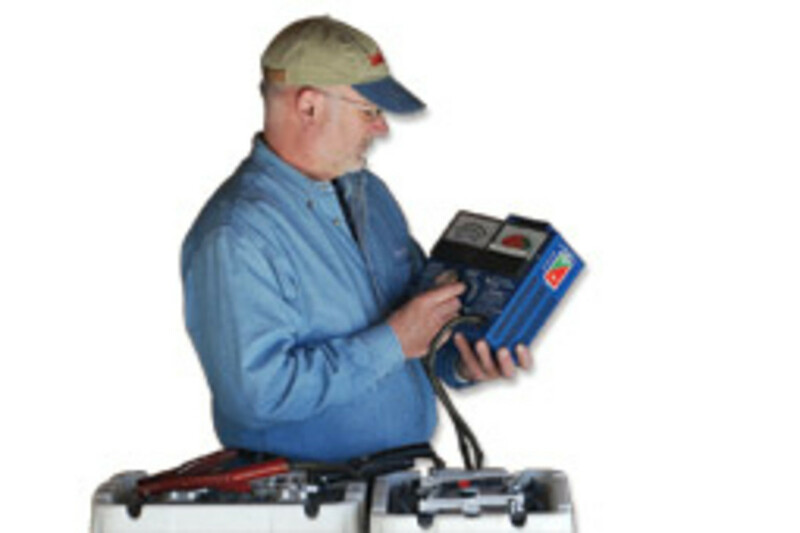 The 6-foot quick-disconnect battery lead provides a choice of clip-on or ring terminals, both of which are fused on the positive lead. It also allows the attachment of an “at the battery temperature sensor” for use when charging aviation-type sealed batteries. In addition to the patented high-frequency pulse circuit, the unit also provides constant battery monitoring during maintenance and desulphation/conditioning, according to Bill Woods, vice president of marketing for VDC Electronics. The 12248 is encapsulated/conformal-coated for marine use. Although the BatteryMINDer is not difficult to operate, you should have a basic understanding of why and how the different charge and maintenance settings should be used. It’s all clearly laid out in the instruction manual. I found myself initially going back to the manual to confirm certain functions and indications displayed on the charger. After using the BatteryMINDer in my workshop for a year, I’m confident that, given adequate time and reasonable expectations, it can restore batteries that have been forced out of service prematurely to usable condition. The BatteryMINDer 12248 retails for $159.95. PulseTech offers a line of battery maintenance products to charge, test, maintain and condition all types of 12-volt lead acid batteries. Its consumer products were developed after many years of R&D for the military, where battery failure “is not an option,” according to Smokey White, vice president of sales and marketing. White offered some insight into the company philosophy. All PulseTech chargers utilize a five-stage charging and patented High-Frequency Pulse Technology to reduce the sulfation buildup on the plates, resulting in peak battery efficiency, according to PulseTech. The microprocessor-controlled, low-voltage, high-frequency pulse waveform rises to its peak in less than 1 microsecond and is introduced into the battery via a separate circuit independent of the charging circuit. Think of the pulse waveform as a hammer quickly striking a very sharp chisel. Each blow of the hammer chips away a piece of the sulfation, which appears like cement on the battery plates. I worked with the PulseTech X2 Dual-Station 12-volt maintenance charger. The charger is simple to set up. Just connect the alligator clips to the battery terminals and plug it in — there’s not even an on/off switch. Both outputs are independently controlled, like having two separate chargers in the same package. Each charge output is infinitely variable from 100 milliamps to 2.5 amps. The unique charge algorithm built into all Xtreme Charge units, coupled with advanced battery evaluation capabilities, eliminates the need for identifying the battery type or chemistry. “The amperage and voltage of the battery are being sampled 100 times per second and adjusted via the microprocessor and the application of the algorithms, according to the batteries measured ability to accept a charge,” says White. In other words, just connect the leads and plug in the charger — it will do everything else without any thought on your part. The X2 Dual-Station charger measures 8 by 6-1/2 by 2-1/2 inches and has two columns of LEDs on the face. The left column indicates charge status, while the right column shows the battery’s percentage of charge. The two main battery cables have a 6-foot reach and include both quick-disconnect spring clamps and ring terminals. The charger is housed in a sealed plastic case and is safe for outdoor use. I set up the X2 Dual-Station charger on a group 31 starting battery, which indicated 25 percent charge. I monitored the charging voltage and time until the charger LEDs indicated the battery was fully charged — 24 hours. I let the battery rest for 12 hours and tested it with both a conductance tester and carbon pile load tester. Both instruments indicated a fully charged and healthy battery. I used the X2 on several AGM and flooded cell batteries, all producing similar results. I also connected it to a flooded cell battery that I knew had internally shorted plates. 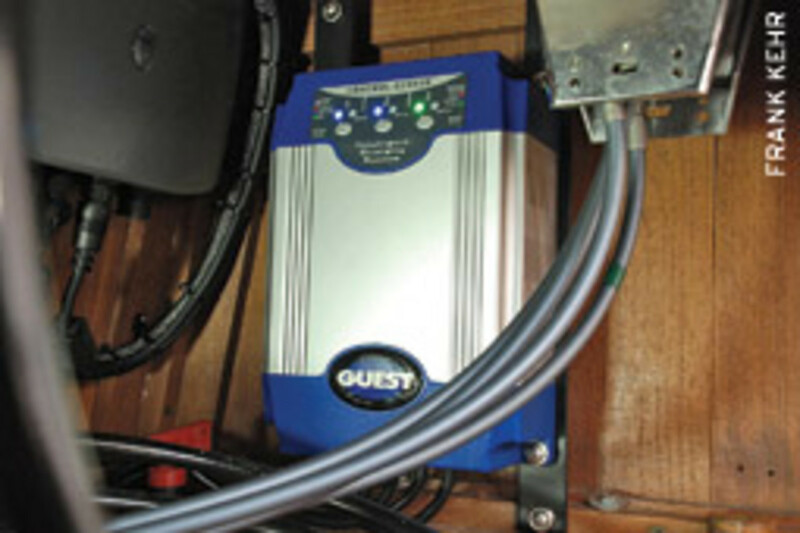 The X2 correctly indicated “bad battery.” The unit works well as a high-tech maintenance charger when your boat isn’t being used and can bring that overlooked battery back to working shape. It retails for $189.95. Long-lasting batteries require sound maintenance procedures to keep them operational. Properly charging batteries while they’re being used and maintenance-charging while they’re stored for even a short amount of time is the key to longevity. Guest, VDC Electronics and PulseTech each offer a host of battery maintenance and charging products, and it’s worth visiting their Web sites for a look at what can work for you. 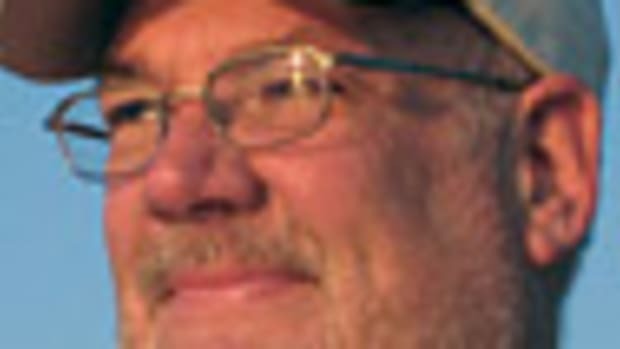 Frank Kehr is a technical writer for Soundings.